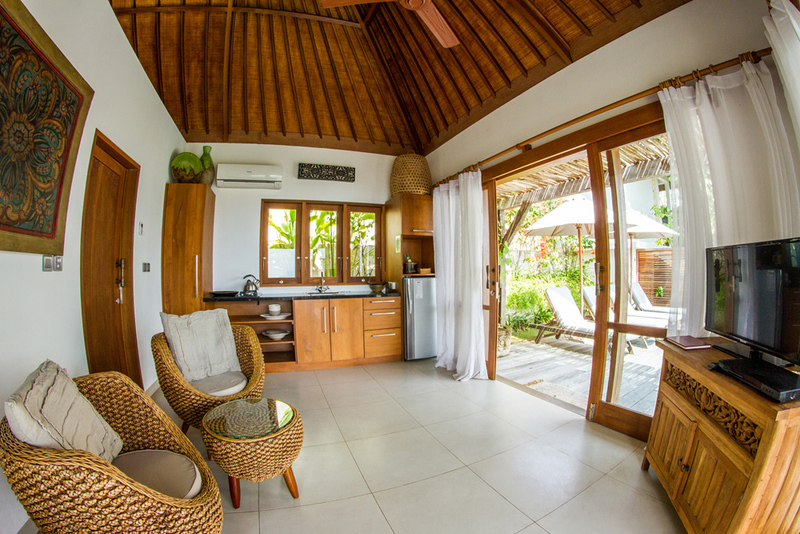 Villa Kundalini is the perfect Villa for honeymoon couples or families. With two bedrooms, two bathrooms and private pool. The ceiling is open making it perfect for a family to hear the children during the night. Both rooms are air conditioned. The first bedroom is a Queen Bed, the second room is a King bed that can separate into 2 x single beds. We have 1 baby cot and toys for the pool. Located perfectly in the most central part of the island, 2 min walk to the ocean & famous surf breaks. Among the best cafes, bars and the main village. 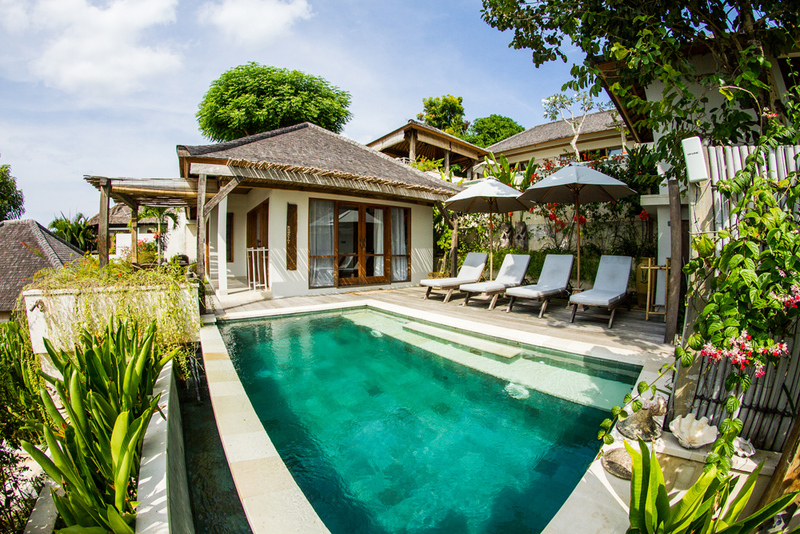 You may also wish to take Rama & Sinta Villas if you have a larger group as they are located next to Kundalini Villa.